We are expecting our first human baby, not a bulldog puppy, in six weeks or so which may slow down my travels for a short while. I can’t wait to immerse our baby boy in travel both locally, in my precious and beautiful Northern California, and all over the world when the time calls. I hope you will be patient with me while I figure out this new adventure and get my travel schedule back on track. The idea of sharing all of the places I have been and have yet to experience with a little one is more exciting than any trip I have ever planned to date. Ahhhh, what great news and image to go with it! ❤ ❤ ❤ Much love and luck to you and the future! Brilliant news! All the very, very best with this new adventure. Thanks very much! Can’t wait to bring him to Ireland some day. And bring him to a hurling match!!!! Congrats! and the best advice I can give you is keep him on your schedule, Do not change your life to plan everything around his schedule. Congratulations! As long as you provide whatever they need for a trip, babies and small children travel well with a thoughtful parent. Congratulations!!! That is great news!!! We’ll have to see how much sleep he lets me get. So happy to hear the good news and that you’ll soon need to find an extra seat during your travels. Don’t worry about posting. Take all the time you need to relax and enjoy your pregnancy. Great news! Congratulations! Cannot wait to read about your travels with the little one. 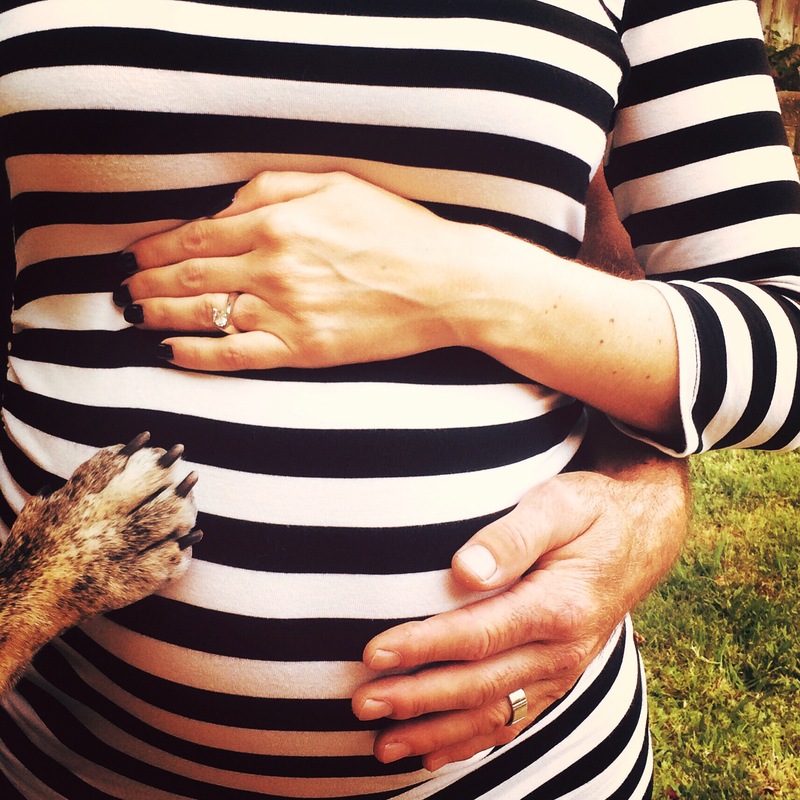 Aww, congrats to you all – and I love the image with the little paw creeping in! Thanks. It was hard to get that short little arm up there. Ha ha. fantastic news and congratulations! Bringing your first baby into the world is a very special time in life, enjoy! Travel advice: I’m confident you will find what works for you, so do share your successes with us! Big congratulations!! A different kind of travelling in the future but just as much (I think more) fun!! We’ve taken our son on our travels since he was a few months old – it’s wonderful. Thanks for the vote of confidence. We are really looking forward to it. We actually think it will make it even more special. Love that picture. Advice about traveling with small children? Well, we went to Sicily when daughter #2 was one month old. She cried for 3 days in a row. Then she was fine. babies are quite receptive to changes. And stress of adults so if you are in peace with yourselves you should be fine. Car rides are a great sleeping tool. 🙂 Just take your time, remember that babies have different rhythms and then you can travel just about anywhere. We took our daughters to Africa when they were 3-4 or 5-6. Hugs. I think it will be a lot of fun to travel with a baby. I hope he likes it as much as we do. Yes we are all thrilled and my family and friends are very excited too. We will just have to see what the dog thinks!